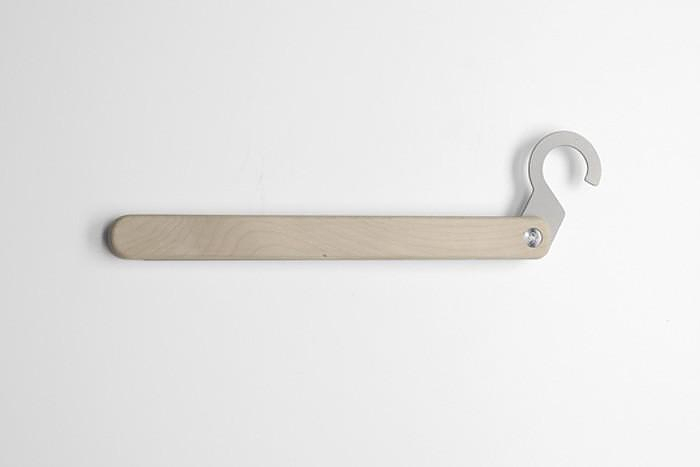 HomeBlogHome DecorT-square Hanger by Jennifer Rabatel. 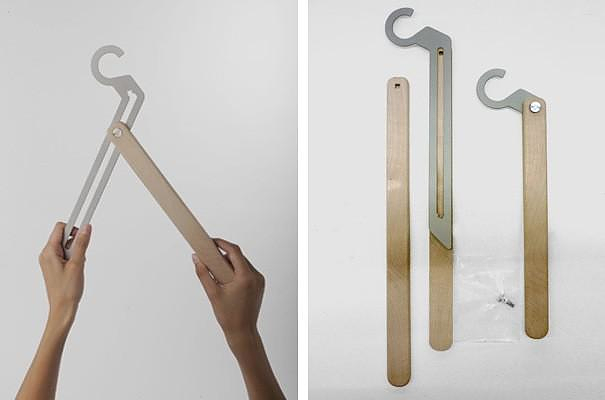 The T-square Hanger by French designer Jennifer Rabatel is a fascinating object with modern design, practicality and a unique mechanical charm. 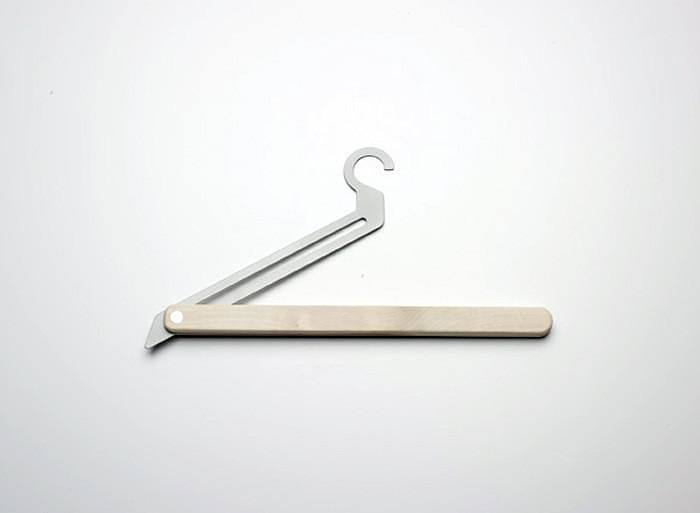 In a sense this a gadget coat hanger, with a simple but amazing function. 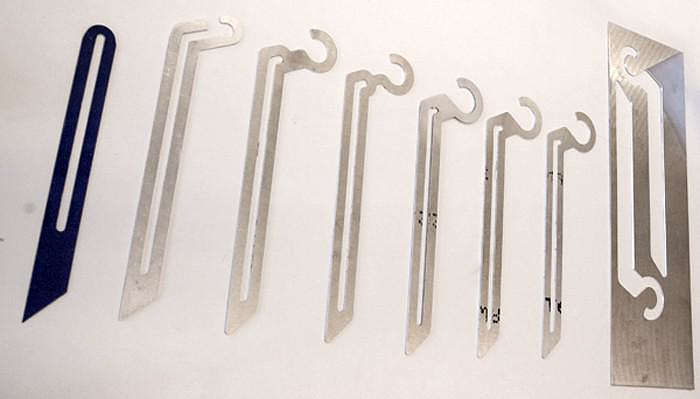 The T-square hanger is foldable and that way you can also adjust its geometry. You can easily shape it to hold a coat, a dress or a trouser and when not in use you simply fold it and it becomes a small compact piece. The T-square has a blade that can slide 360 degrees onto a wooden plate. 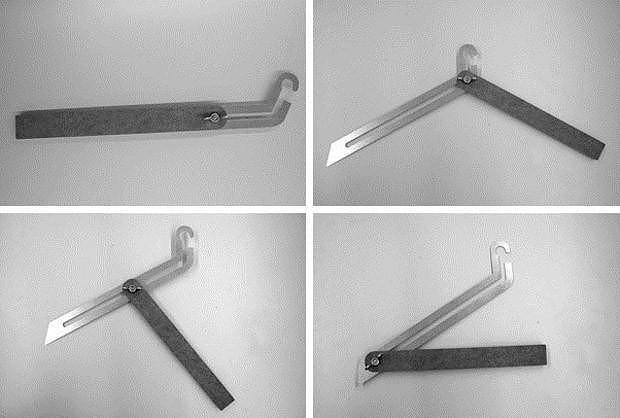 This ingenious system allows the hanger to be re-shaped and transform from a coat hanger to a trousers hanger. In order to enhance the stability of the trousers on the hanger, a hook was integrated in the part with the blade. 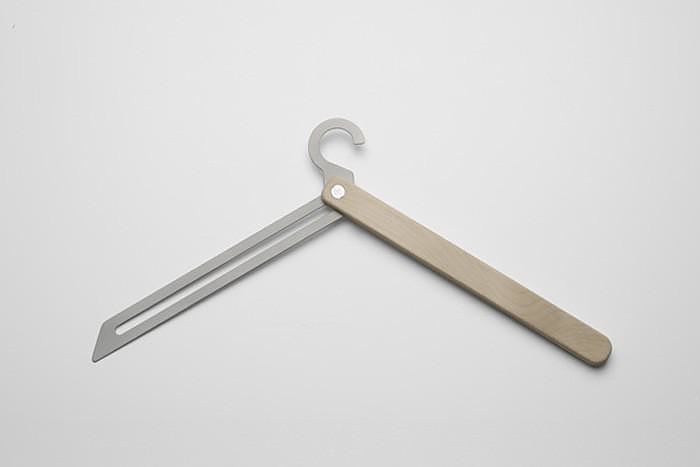 T-square is an innovative hanger which combines functional and aesthetic value.